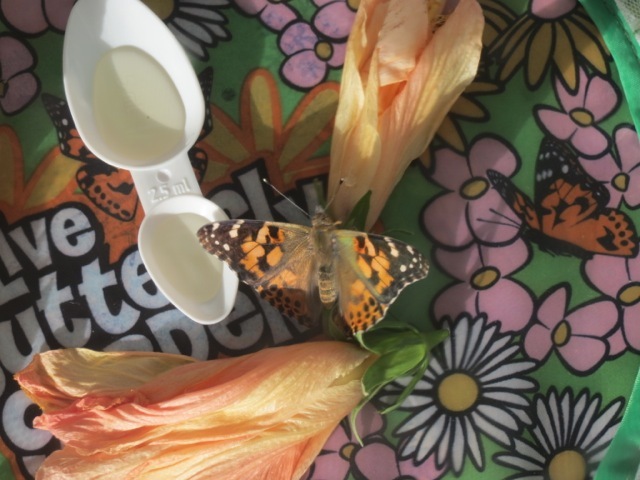 One of our butterflies hatched yesterday afternoon, whilst we weren’t here. 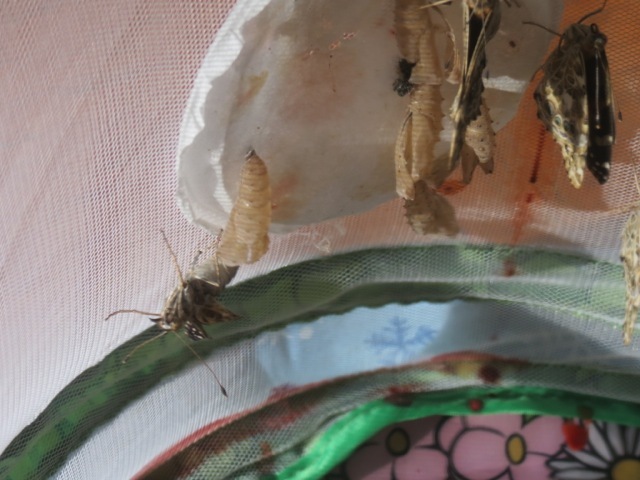 The girls were excited but very disappointed that they hadn’t seen it appear from the chrysalis. This morning whilst we were getting dressed, a second butterfly hatched, so we missed that one too. I moved the butterflies to the table whilst we ate breakfast so we could see them at all times. And we were rewarded. 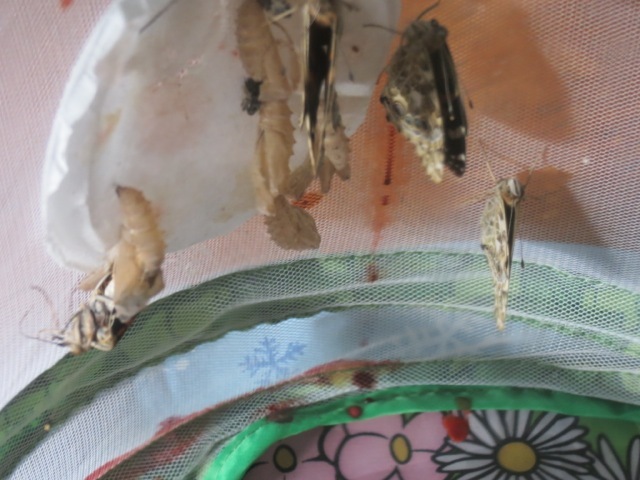 We watched the final 3 butterflies emerging from their chrysalises and stretching their wings. All this happened between 8.30am and 8.50am this morning, and we still managed to only be 10 minutes late for school! The Little One read us the National Geographic book Caterpillars to Butterflies on the way to school, so it was a very educational morning all round before we’d even got to 9.15am. I have yet to see my first spring butterfly. I always look forward to them and the flowers. Here in Houston there are quite a few around now and it feels like Summer already. Whereabouts are you? In Ontario, Canada. Spring, the butterflies, the Canadian Geese even, keep taking their time to arrive. But I am being patient. I know it’s around the corner! Glad that you are already enjoying it! « The baby birds have hatched!